18 holes, par 72, 7002 yards. Parkland with Lakes. 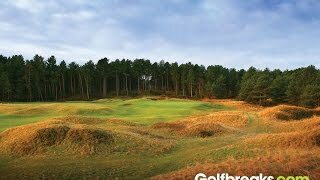 Formby Hall Golf Course, although only laid down in 1996, has managed to garner an excellent reputation for top quality year round golf despite being surrounded by some of the best golf courses in the British Isles. From 1999-2001, Formby Hall Golf Club hosted the PGA National European Tour and has hosted numerous top-class charity and pro-am events since, including the European Professional Seniors Tour. With its never-ending challenges such as riveted bunkers, undulating greens, ample lakes and ponds to negotiate with, this course is a truly demanding yet intriguing course to play. Formby Hall Golf Course consistently prides itself on having brilliantly manicured greens and vast fairways that weave seamlessly between picturesque holes. As you come to the end of your round, you are greeted by Formby’s magnificent Colonial Style Clubhouse in which you can place orders by telephone from every hole. Located on England’s brilliant ‘Golf Coast’, Formby Hall is not one to be missed! Golf carts are available from the golf shop for £30 per buggy; however availability will be dependent on weather. You alternatively hire a pull trolley for £4. Formby Hall preserve a smart but casual approach on clothing that is principally designed for golf. Standard golfing attire applies on and off of the course.